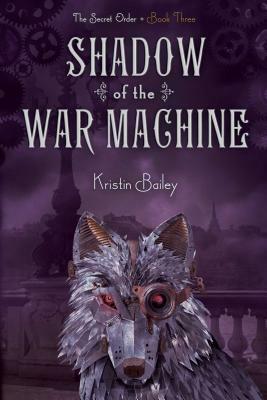 Meg finally finds the answers she's been searching for in the thrilling and action-packed conclusion to the Second Order trilogy, set in steampunk Victorian London. Meg has come a long way from her days as a lowly housemaid, driven to learn the truth behind her parents' murder. She's since discovered that they were part of the Secret Order of Modern Amusementists--an underground society of inventors. Determined to reclaim her heritage, she joined the Amusementists as an apprentice, but that hasn't brought her closer to the man responsible for the loss of her family: the man in the clockwork mask. Now the man in the clockwork mask is coming for her. But Meg is tired of being hunted and she intends to become the hunter. The truth about her family is out there, and she will find it. With Will, the boy who holds her heart, Meg embarks on an adventure that takes them far from the cold London winter and into the heart of France. But the City of Light is filled with dark shadows. There's a plot afoot that could turn the tides of a terrible war, and cost the lives of millions--that is, if it doesn't take the lives of everyone Meg holds dear, including her own.